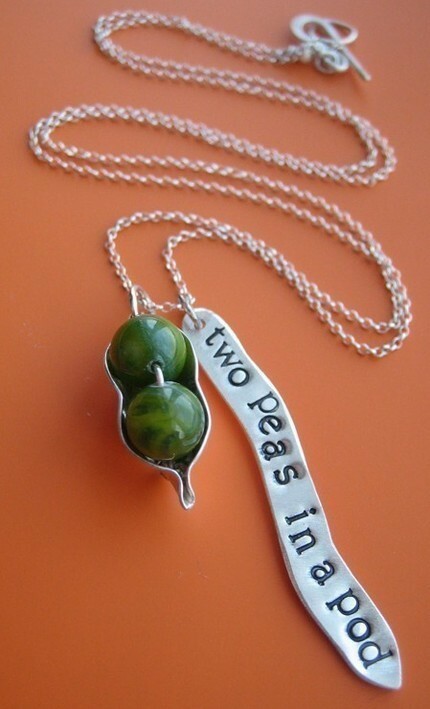 A new way to wear my Peapods.... 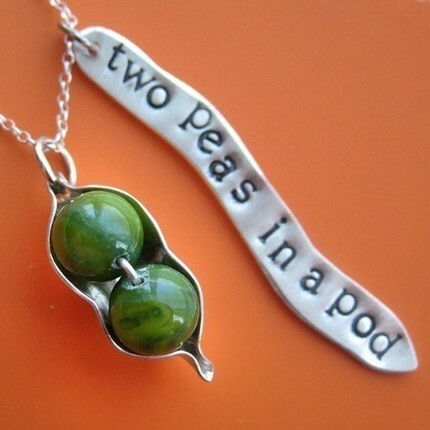 This necklace features a small sterling silver peapod cupping two beads, and a sterling silver 'TWO PEAS IN A POD' tag, all hooked onto a sterling silver chain. 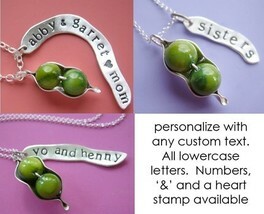 The 2 peas tag tag is hand stamped in silver, then oxidized and brushed to accent the letters. 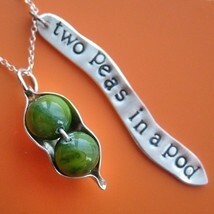 stamped with my 'sudlow' signature on the back of the peapod. 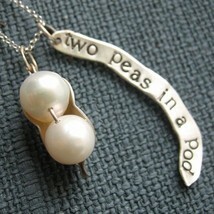 Necklace measures 16" and features a handmade clasp PLEASE SPECIFY EITHER GREEN MOTHER OF PEARL OR WHITE FRESHWATER PEARL (GREEN IS SENT AS DEFAULT) Comes packed in a little gift box, perfect for giving! due to its handmade nature, the necklace may vary slightly from the picture I'm also happy to stamp a custom phrase, name or anything you'd like on the tag. 15 character max.